"Noho Sound & Stereo has a younger vibe than the other high-end shops I've visited over the past few years. There's an energy to the place, which stems from the owners Alex Roy, Ron Kain, Chris Petranis and their desire to attract a younger clientele. 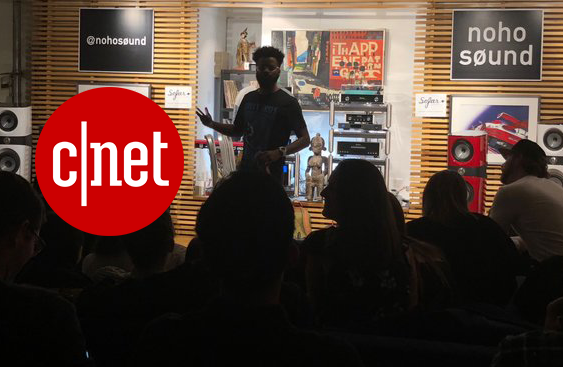 Noho Sound is reaching them through social media, and they regularly host live music concerts...in a nearby loft space and at the World of McIntosh townhouse in New York City." "By exposing people to great music right away, those potential customers are then encouraged to listen to these new favorite songs on Noho Sound's systems. Hearing and feeling their music in a different, more meaningful way changes people. Not everyone of course, but some get it, and they come away knowing great sound changes the way they feel about music. That's what brick and mortar audio stores offer that you can't get online." Read the rest of the story and check out Steve's photo gallery here.